Toxic when eaten or by touch? Does the way I'm exposed matter that much? You make daily decisions about how much and what chemicals you apply. You deal with complex and sensitive sites such as daycares, forests, and food establishments, which often require extra knowledge, training, and certification. You have higher exposure potential than most people because you are working with pesticides so often. 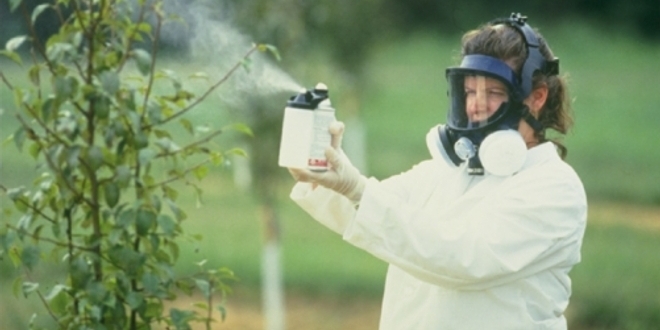 You may need to respond to questions from the public about pesticides. We can provide science-based information to your clients and concerned citizens. We maintain a library of pesticide information, including label and MSDS databases and fact sheets about specific chemicals. We can help you identify ways to minimize your exposure and risk at work. We can provide the contact information you need for recertification and worker safety questions.